Home / News / POLL: Vote for the location of our next combine! 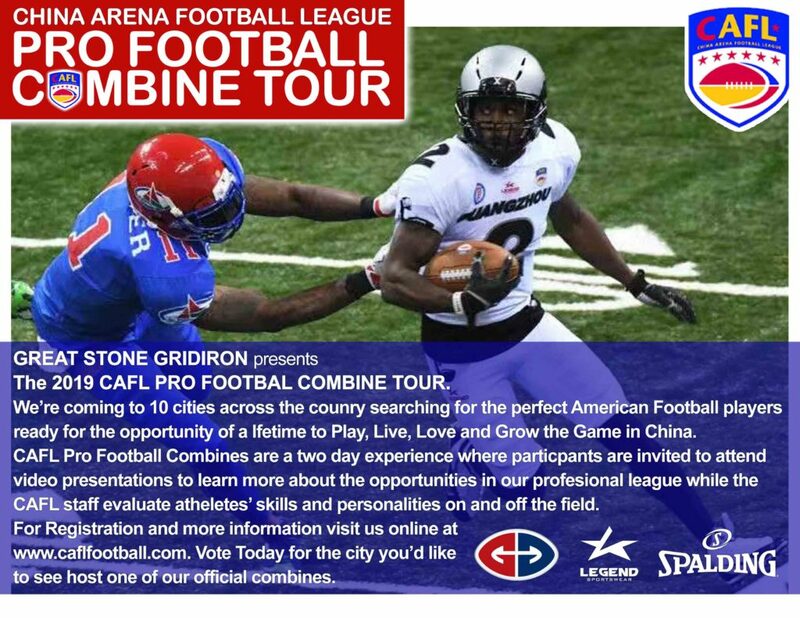 The CAFL & Great Stone Gridiron are bringing its Pro Football Combines to a city near you and its your vote that can determine where they will be hosted. The CAFL & GSG are in search of more than 100 athletes wanting to play professional football in China while also serving as true ambassadors of the game. The professional game returns to China in 2019 and you will not want to miss your chance to be the league’s next stars along with the life rewarding experience of teaching the game to youth in China. Its a chance to Play, Live, Love & Grow the Game in China. Day #2 of the CAFL & GSG Pro Football Weekend is what every player, Coach & Scout have been waiting for as the athletes finally get on the field and show their true ability to play the game of American Football on a high level. Athletes can expect to be evaluated based on their Speed, Agility, Explosion, Position Specific Skill Level, Personality and overall understanding of the game. Vote today for the city nearest you to host one of our Official Pro Football Combines so that it’s easy for you to get the opportunity to be part of Pro Football in China. ← Older Happy New Year!